How important were Foreign Alliances in Promoting Support of the Tudor Dynasty? Foreign alliances were the backbone of the Tudor dynasty (1485-1603). They were a way to demonstrate support for a new dynasty, and cement its credentials. The claim of Henry VII to the English throne wasn’t that strong on its own, but was strengthened by political marriages, like that of Katherine of Aragon to Prince Arthur in 1501. However, wars also demonstrated that the dynasty had a right to the throne – Henry VII claimed that since he beat Richard III at the Battle of Bosworth in 1485, Richard wasn’t the rightful ruler and Henry was. Foreign alliances were also used to neutralise threats from enemy countries, like Scotland. Several of these instances will be examined in the following essay. The most important foreign alliance in the sixteenth century was the marriage of Prince Arthur, heir to Henry VII, to Katherine of Aragon, daughter of Isabella I of Castile and Ferdinand II of Aragon in 1501.This marriage demonstrated that the Spanish monarchy recognised the claim of the Tudors to the English throne. Refusing the marriage would show that the Spanish didn’t believe Henry VII to be the rightful King of England. 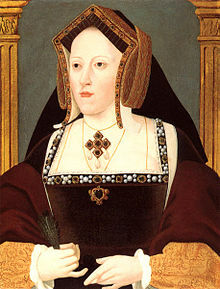 This marriage did fall apart, however, because Prince Arthur died in 1502 and Katherine of Aragon was left in a kind of limbo until her marriage to Prince Arthur’s brother, Henry VIII, in 1509.This foreign alliance became very important in the 1520s when Henry VIII was pushing for a divorce from Katherine of Aragon. Charles V, Holy Roman Emperor, tried to protect his aunt(Katherine of Aragon) which caused a lot of friction between England and Spain, as well as between England and the Papacy. Margaret Tudor by Daniel Mytens. 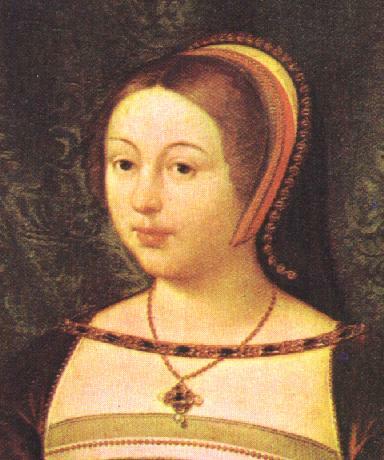 Other important foreign political alliances for the Tudor dynasty were the marriages of Margaret Tudor, eldest daughter of Henry VII, to James IV of Scotland, and also Mary Tudor, the younger daughter of Henry VII, to Louis XII of France. These marriages were intended to neutralise threats from both Scotland and France, who had a habit of allying themselves to each other against England. Henry VII recognised that these marriages had the potential to not only neutralise the threats, but also to promote support of the Tudor dynasty in both France and Scotland, and give the dynasty some foreign support against any gainsayers. With the marriage of Prince Arthur to Katherine of Aragon, Tudors were married into the main three European royal families which gave them a firm base on which to build. Henry VIII’s marriage to Anne of Cleves in 1540 was the result of several years of negotiations. It was designed to nullify the threat posed by the Holy Roman Emperor, Charles V, and the King of France, Francis I, who were in alliance against Henry VIII. 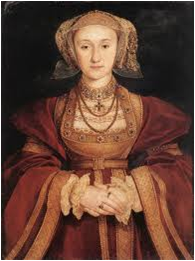 Marrying Anne of Cleves would also give Henry VIII entrance to the Schmalkaldic League (a union of protestant countries, containing most of Germany). This would give Henry VIII access to military aid, should France, Spain and the Papal States take it upon themselves to crusade against England and try to return the country to the Roman Catholic Church and the Papal See. This alliance was a disaster because Henry VIII felt he had been deceived about Anne of Cleves and the marriage only lasted around six months. It also ended with the execution of Henry VIII’s chief minister, Thomas Cromwell, who had orchestrated the match. There were also several negotiations early on for the hand of the Princess Mary, daughter of Katherine of Aragon and Henry VIII, later Mary I. Marriages were the mainstay of foreign alliances and support. They were the way of ensuring that other monarchs and leaders held true to alliances. 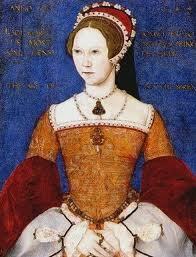 Mary I was no exception. It is well-known that in the end she married Phillip II of Spain a year after coming to the throne in 1553. However, at various times she had also been betrothed as part of treaty negotiations to Phillip’s father, Charles V, the Holy Roman Emperor, as well as the Dauphin and the Duke of Orleans. These betrothals were broken when Henry VIII wanted a different alliance for political and diplomatic reasons. Mary’s actual marriage to Phillip II of Spain in 1554 was made for personal reasons as well as diplomatic, and probably more than the idea of promoting support for the Tudor dynasty. Mary wanted a child, partly for her own comfort, and partly to stop her half-sister, Elizabeth, from inheriting the throne. By this time, however, the Tudor dynasty was quite secure on the throne and so it was less important to use foreign alliances for support reasons. To conclude, the main mode of foreign alliance and negotiation was through marriage. These marriages were made to gain a political advantage, or to neutralise the threat of war. Foreign alliances were made for reasons other than marriage, but marriage was generally always a product of such alliances because it cemented the union of the countries involved. It also meant that in a country like England which had been under threat of civil war for half a century, foreign alliances promoted support of them and cemented their divine right to rule. Next Next post: How United was Spain under Ferdinand and Isabella?